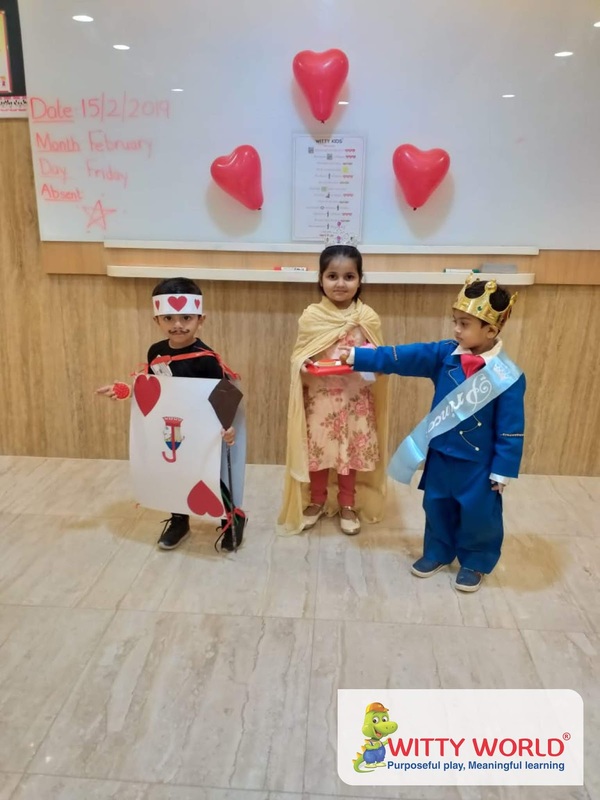 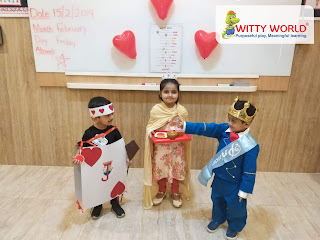 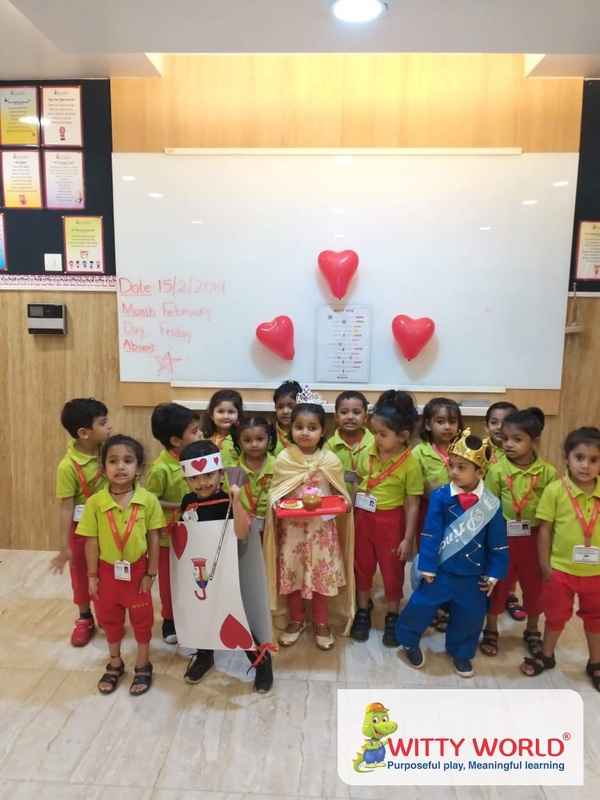 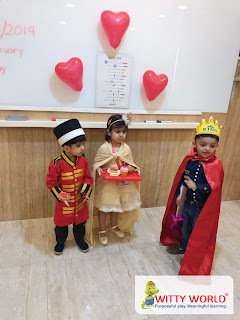 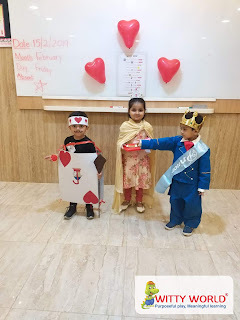 Little Wittians of Witty International School, Pawan Baug enthusiastically came dressed in beautiful attire of Queen, King and Hearts. They actually participated in the rhyme enactment with their peers. 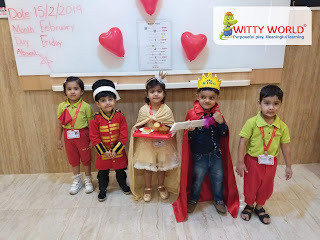 The little champs beautifully represented themselves in the character they were dressed in, for the enactment. 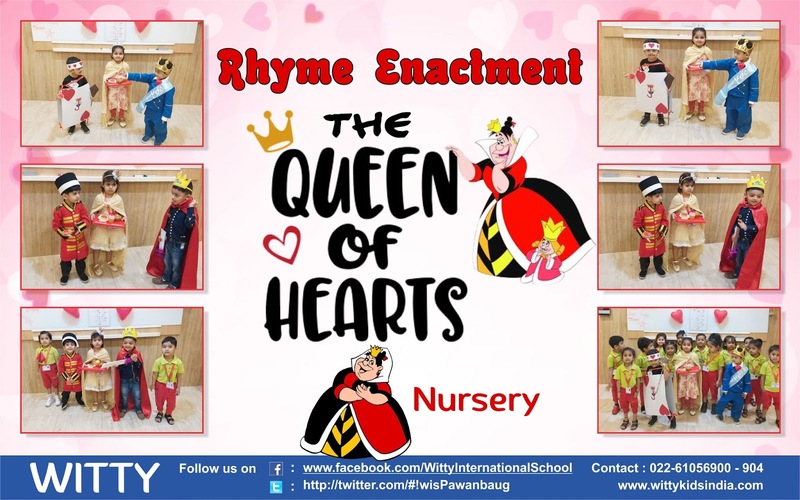 They also enjoyed reciting the rhymes with their peers. Children were motivated more and more to take part in the enactment to overcome their stage fear. 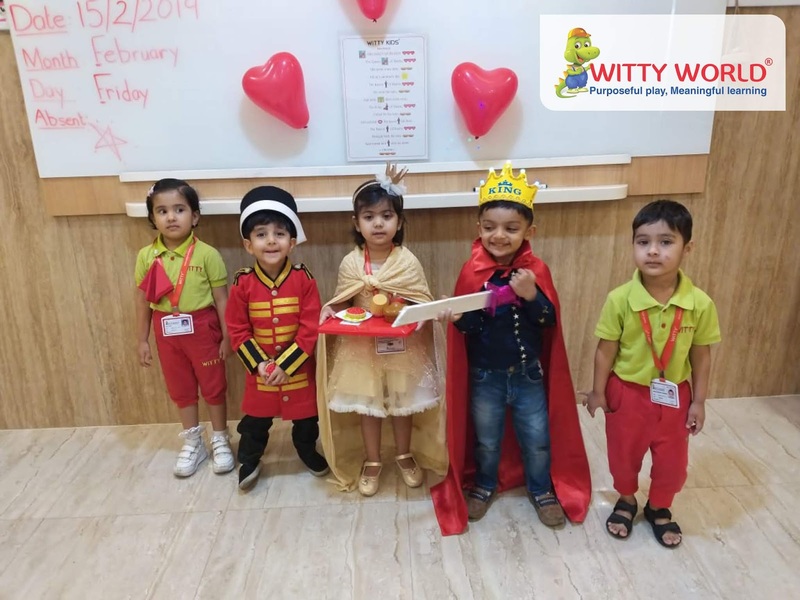 In this way, it was a fun-filled day for the little Wittians.